A microwave is one appliance that is a necessity for college students in dorm rooms, but we don’t always seem use it to its full potential. Microwaves are smaller versions of ovens, so why not try to cook all of our favorite foods in less time? Here are a few recipes that use basic staples and the microwave’s high-watt power to their advantage. 1. 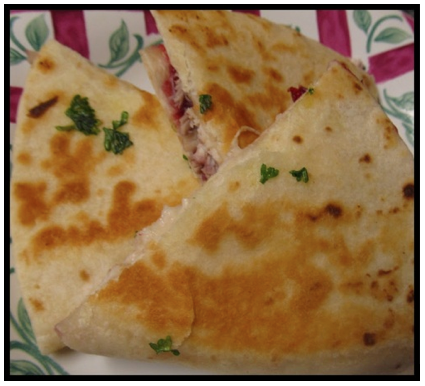 Sprinkle four tortillas with turkey, cheese, green onion and chilies. 2. Drizzle salsa over top. 3. Cover with the other tortilla. 4. Microwave on high for one to two minutes each until the cheese is melted and the turkey is heated. 5. Serve with salsa, cheese, sour cream, tomato, guacamole or any other desired topping. * You can substitute any type of meat and/or cheese to spice it up. 1. Place butter in 12 oz. microwave safe mug or small bowl. 2. Microwave on high for 30 to 45 seconds, or until it is melted. 3. Add egg(s), milk, salt and pepper. 4. Stir or whip all of it with a fork. 5. Microwave one egg on high for 35 to 45 seconds and two eggs for 1 minute 15 seconds to 1 minute 45 seconds or until eggs begin to set. Then stir it with a fork to break apart after half of the time. 6. Remove the eggs once they become soft and moist. You may have to play with the time depending on your microwave. Let it stand for about 2 minutes. 7. While the eggs are standing, crush the bacon into pieces and add it to the eggs. 8. Eggs will firm up while it is standing. 9. If you want, sprinkle it with shredded cheese during standing time. 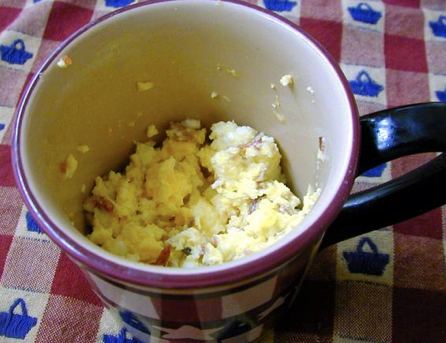 *Instead of bacon, you can slice sausage, turkey or sausage breakfast patties and put it in the mug. Microwaves are no longer just for reheating food. They are now an easy-to-use tool in our cooking arsenal for the college meal on the go.